« Older: Lily’s Treasure Chest celebrates 10th anniversary! 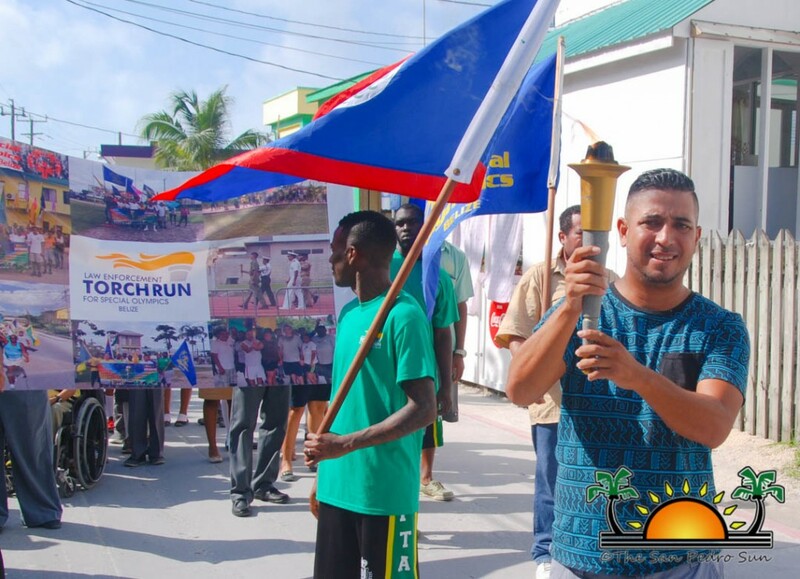 The San Pedro Police Department was proud to host the Special Olympics Belize torch when it arrived in San Pedro Town on Tuesday, November 29th. The event forms part of the annual Law Enforcement Torch Run (LETR), which has been taking place for the last five years. The torch arrived shortly after 6PM, and remained on the island until Wednesday, November 30th after being paraded through the streets of Town. 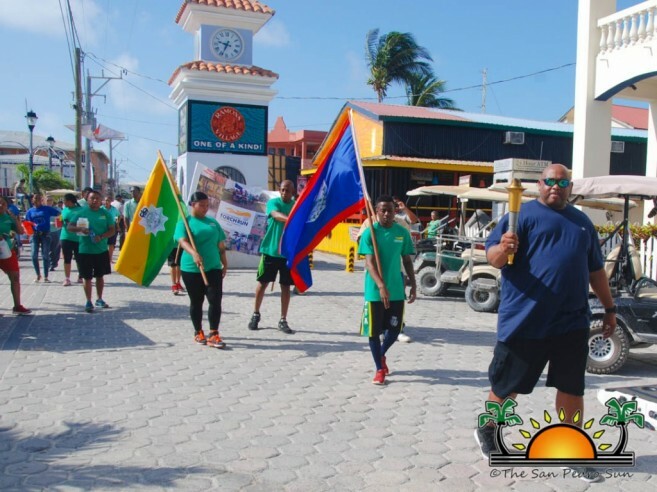 According to Inspector of Police Elroy Carcamo LETR is part of a series of events held by Special Olympics International across the world to promote awareness for persons living with disabilities. “In this event, we also look to fundraise and sensitize the community to assist children with intellectual disabilities who are participating in sporting activities,” said Carcamo. 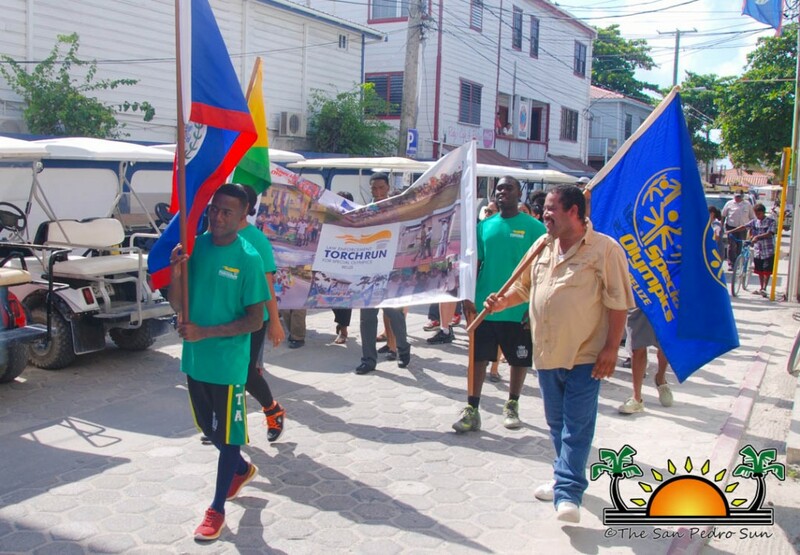 The torch run is comprised of different law enforcement agencies from across Belize. This includes the leading agencies which are the Police Department, Belize Defence Force, The Coast Guard, Immigration, Customs, and Fire Department. “We move the torch around the country… It is considered the flame of hope. The final stop for the torch is where the games for that particular year will be taken place,” he said. 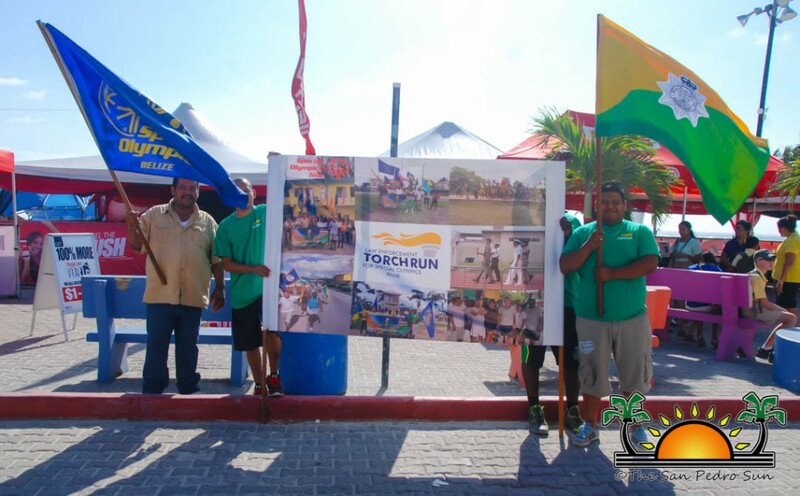 To celebrate the presence of the torch in San Pedro, a booth was set up in front of the town clock in an attempt to collect donations that will benefit the games of this year. Visitors passing by the booth generously contributed to the cause, helping to raise much needed funds for Special Olympics Belize. At the same time, raising awareness for the program. “The funds collected are used to send these special athletes to different sporting events outside the country,” said Carcamo. He mentioned that a group went to Los Angeles California, USA, where they participated in their national games. Those Belizean special athlete even brought back home medals! Organizers are hopeful that this event will continue bringing the community together and help people to understand the importance for caring for their special needs residents. 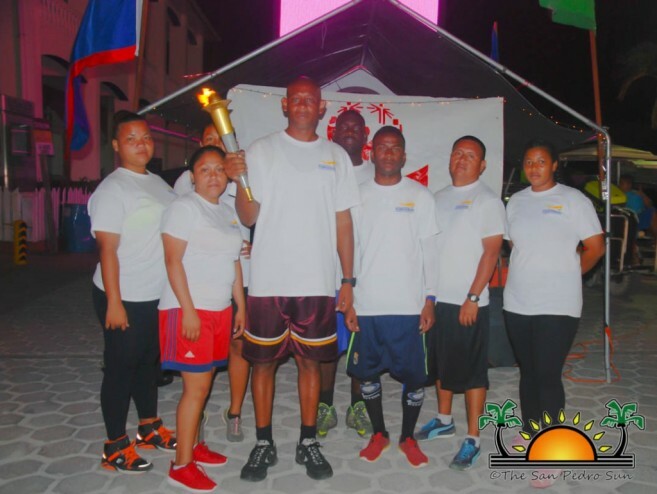 The visiting committee that brought the torch would like to thank everyone who made a generous donation towards Special Olympics Belize. Big thanks also go to the San Pedro Police Formation, who on Thursday, December 1st, held a BBQ sale in order to raise additional funds for the Special Olympics Program. 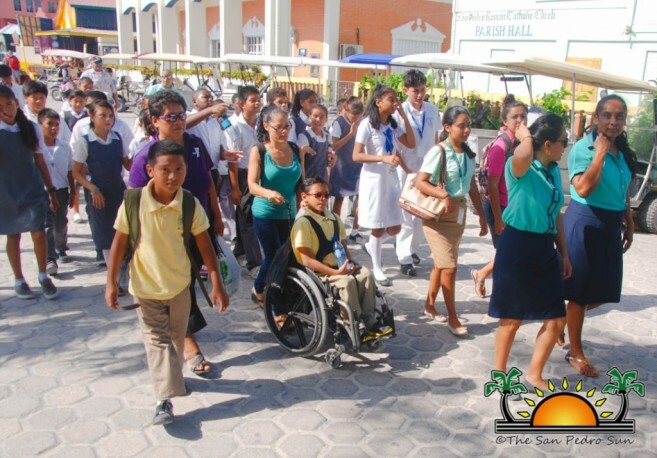 The National Games took place on Friday, December 2nd in Corozal Town and for the first time, it paired athletes with intellectual disabilities and athletes with no disabilities.